The day on shore in Nassau and Paradise Island, The Bahamas, was planned as a time to enjoy the beach and all the other exciting features of the Atlantis Resort and the many shops in Nassau. Our excursion included transportation to and from Atlantis, a spot on the beach with towels, chairs and shade. Our particular beach location was in Cove Beach, where the waters are calmed by breakers and the sound of the surf, along with the aquamarine color of the water, helped to bring peace and calm. We made the most of our time spent there, including lunch and tropical drinks. No doubt about it, the large marine life enclosures on the grounds were astounding! We saw sharks, stingrays and barracudas. The sheer architectural magnificence of the buildings and their almost surreal surrounds is absolutely breathtaking! We also visited the casino, but no winnings to report! The tour bus brought us back into town with time to spare for shopping in the many stores of the Diamond District, which proved to be very productive. 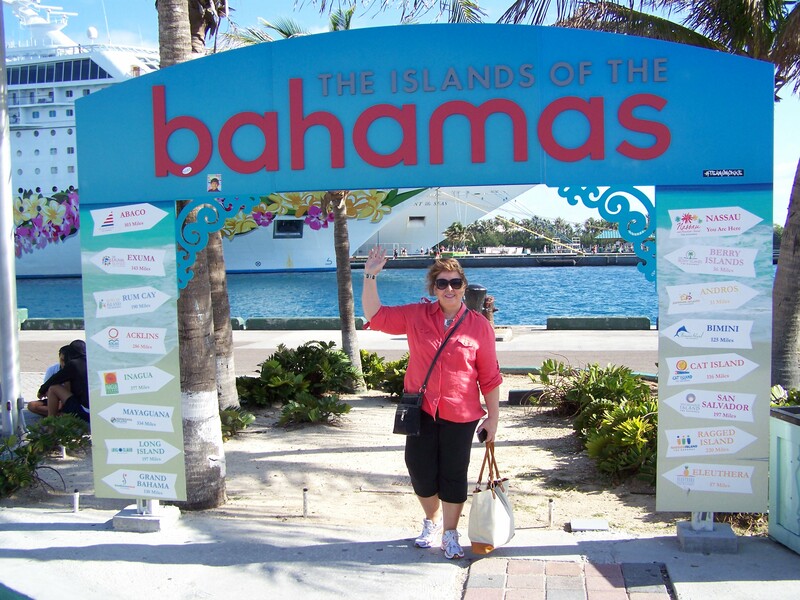 The last time we visited The Bahamas, which was about three or four years ago, we toured the city and Paradise Island by car. We also took a leisurely ride on a glass bottom boat to see colorful fish and coral offshore. This time we just wanted to relax and enjoy an island setting that is unique by any standard – Atlantis! In case you’re wondering, the Michael Jackson suite can run $25,000-$36,000 per night! Yikes! One reason we just wanted to relax and enjoy this island day, is because we were gearing up for an eight-night, seven-day journey across the Atlantic Ocean on The Mariner of the Seas. We left Port Nassau about 5 p.m. tonight (Wednesday, April 24, 2013) on a charted course to Madeira in Portugal. Unfortunately, we just found out that the ship’s satellite Wi-Fi will encounter dead zones during the trans-Atlantic crossing. So, if we thought Wi-Fi was slow before, it’s going to be practically non-existent for the next few days/week. If the signal will allow, I’ll post an update before we reach Portugal. If you don’t see and update, I’ll try to catch up whenever possible. ← Nassau here we come!